Aydin Senkut is the Founder and Managing Director of Felicis Ventures. He has been named one of the top 25 tech angels by Businessweek and was recently featured as one of the top 50 VCs by Forbes’ Midas List. The Felicis Ventures portfolio encompasses over 80 companies currently including Clearslide, Dropcam, Inkling, Practice Fusion, Rovio, and Shopify. In the last 5 years, over 46 Felicis backed start-ups have been acquired by firms such as Google, Facebook, Twitter, Groupon, Microsoft, AT&T, Disney, Ebay, Chegg and Intuit. Prior to starting Felicis Ventures, Aydin was a Senior Manager at Google, responsible for strategic partner development and account management in Asia Pacific (including Japan). 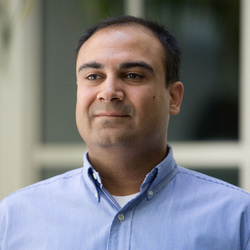 Aydin joined Google in 1999 as its first Product Manager to launch Google’s first 10 international sites, its first online search licensing products and its first Safe Search. He then became the first International Sales Manager at Google, responsible for worldwide licensing deals. Aydin received a BS in Business Administration with Honors from Boston University. He also earned an MBA in Marketing from the Wharton School and an MA in International Studies from the School of Arts at the University of Pennsylvania. He speaks five languages: English, German, French, Portuguese and Turkish.